On the heels of the successful 2017 Adventure Travel World Summit held in Salta, Argentina, last month, the Adventure Travel Trade Association (ATTA) and the adventure travel industry are already gearing up for the 2018 Adventure Travel World Summit, which will be held 15-18 October in Tuscany’s Montecatini Terme, Italy. The news about the 2018 Summit location came in the form of a surprise announcement after the closing of an evening plenary session in Salta. In the spirit of the adventure travel community, three years of Summit hosts — Anchorage, Alaska; Salta, Argentina; and Tuscany, Italy — took the stage to take part in the long-standing tradition of “passing the baton” as the 2017 Argentine hosts presented the 2018 Tuscan hosts with a one-of-a-kind, personal poncho made in Salta as a symbol of continuing the Summit legacy. Since the announcement about the 2018 Adventure Travel World Summit location was made at the October event, the ATTA has seen an unprecedented surge of early interest in next year’s annual event. Most of the Marketplace tables have already been purchased and more than 100 delegates have confirmed their attendance. Located at the foot of the Apennine Mountains, Montecatini Terme is a picturesque hilltop city centrally located in Tuscany, offering a perfect balance of outdoor excursions and the relaxed Tuscan lifestyle. It is known throughout Europe for its wellness spas and thermal baths. 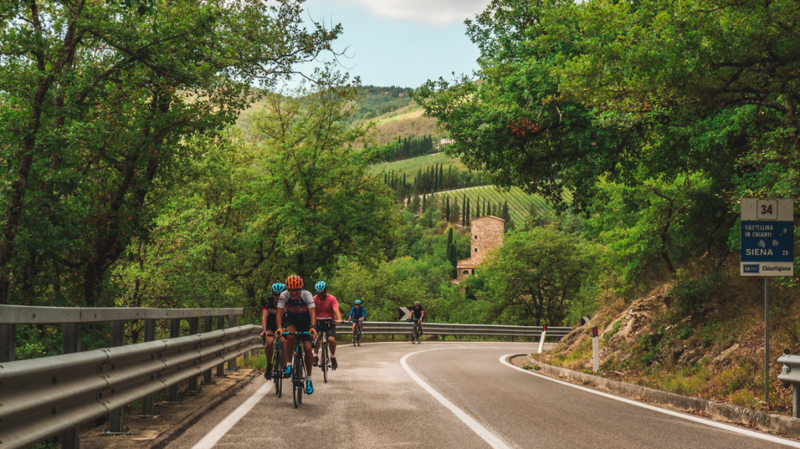 Tuscany representatives are developing more than 20 itineraries for Summit delegates featuring the more adventurous side of the region with activities such as rafting, sailing, climbing, diving, bird-watching, trekking, canyoning, and more. In September, Tuscany hosted an ATTA AdventureWeek showcasing some of these itineraries and activities, already piquing the interest of international outbound operators, travel agents, and journalists. Registration is now open for the Adventure Travel World Summit in Tuscany 15-18 October 2018. Stay notified of Summit developments.